When we arrive at your home, they will begin by talking with you about your comfort needs and any problems you may be having with your current air conditioning system. Our desire is to best understand what is most important to you. We will inquire about any rooms that are too hot or cold. We will also ask about any problems you may be having with allergies, excessive dust, etc. We will also ask about your energy bills and see how they compare with energy efficient homes that are similar in size. While most contractors will quote you a new system based on the size of your current system, we will take a more thorough approach by performing a Manual J Load calculation on your home. We will measure each room and include important factors such as window sizes, insulation levels, exterior siding and other information which affects the comfortability of your home. Next we will perform some measurements to see how your current system is performing and make sure your existing duct work can properly handle the new high efficiency system we are designing for your home. We will also look at the level of insulation in your attic to make sure your existing insulation is doing an adequate job of keeping summer heat from leaking into your home. Now that we have a complete understanding of your home’s current heat load and measurement data on your existing heating and cooling system, we will be able to calculate how efficient your current air conditioning system is compared to similar San Antonio area homes. This will give you an idea of how well (or poorly) your system has been performing up to now. 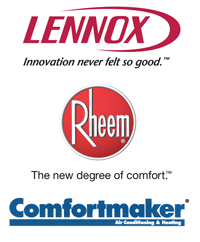 Once we have completed the necessary information gathering we will determine the best options to meet your comfort and energy savings desires. We will then present you with the options that best meet your specific needs and budget. Our goal is to provide you with everything you need to make an wise, well informed decision. Many customers tell us that our process has taught them more about their system than any other contractor ever has. 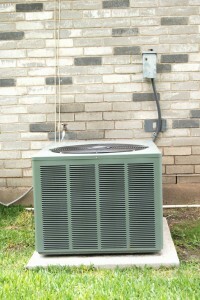 Once you have decided on the system that best meets your needs, we will schedule a time to do the installation work. Installs typically take one day, but can take longer if duct replacement and other upgrades are being installed. Every effort will be taken to make sure your home is protected during the installation process. Drop clothes and shoe covers will be used to protect your carpet and all construction debris will be removed by our technicians. Once the job has been completed, we will test the new heating and cooling system and make sure it performs properly and delivers balanced comfort to each room in your home. If your ready to increase the comfort level of your home and lower your energy bills, give us a call and we will arrange for an advisor to come to your home at your convenience.